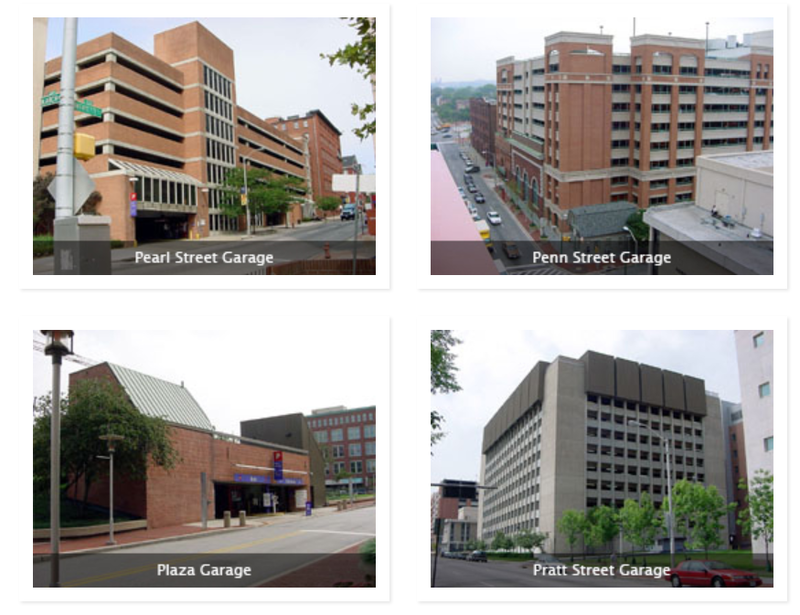 Some of the parking garages at the University of Maryland Baltimore. A representative from University of Maryland Baltimore was lambasted during Wednesday’s Board of Public Works meeting, with board members calling into question how ethical the school’s process was in securing a new contractor. Two of the five members of a selection committee to find an operator for the university’s parking facilities were former employees of the winning bidder, which was selected despite the fact another bid came in lower. Joe Evans, UMB’s director for general procurement, testified during the meeting that Penn Park, Inc. of Hanover, Md. won a $3.8 million bid to operate the university’s parking facilities. The Chicago-based runner up, SP Plus University Services, offered a lower bid of $3.5 million, but Evans said UMB’s five-member selection committee resolved to pick Penn because it found that Penn was “more advantageous … because of the firm’s technical merit and key personnel,” according to the board’s agenda. The two selection committee members who had worked for Penn were eventually referred to the state Ethics Commission for vetting. The Ethics Commission cleared the duo of any financial ties to Penn. Evans, who appointed the committee, said both signed affidavits that pledged neither would benefit from Penn’s contract with the school. Comptroller Peter Franchot said he was troubled by the entire process, and though he doubted any laws had been violated, Evans and UMB should have avoided even the perception of bias. Franchot was the lone dissenting vote on the project, though Treasurer Nancy Kopp also criticized Evans for not taking into account potential bias on part of the two former Penn employees. Evans said the contracts required review of experts in the parking and transportation field, though Kopp questioned as to why UMB couldn’t draw on other University System of Maryland resources or employees. Gov. Martin O’Malley contributed little to the debate and voted in favor of the project. Penn Parking, beginning May 1, will maintain operations of UMB’s entire parking facilities, encompassing nine garages and six parking lots, totaling 6,700 parking spaces, according to Alex Likowski, UMB spokesman. The company will also maintain the campus vehicle assistance program, including battery jumps for students, faculty and staff, lockout assistance, tires changes and help in locating lost vehicles. Likowski declined to provide the names of the members on the selection committee, but said two work in the university’s procurement office, two are leadership from the school’s Department of Parking and Transportation, and one served as the director of building and operations for the campus center. The two members who were reviewed by the Ethics Commission worked for Penn seven and 12 years ago, respectively. Mary Jo Childs, procurement adviser on the Board of Public Works, said that though some cases may require a certain expertise from former employees of the private sector, bias should always be avoided.